Superdry women's Academy Freshman backpack and pencil case. A great, everyday backpack featuring a large main compartment secured by a zip fastening, smaller front compartment and padded back for comfort. The backpack also features a top grab handle and adjustable shoulder straps to enhance durability. 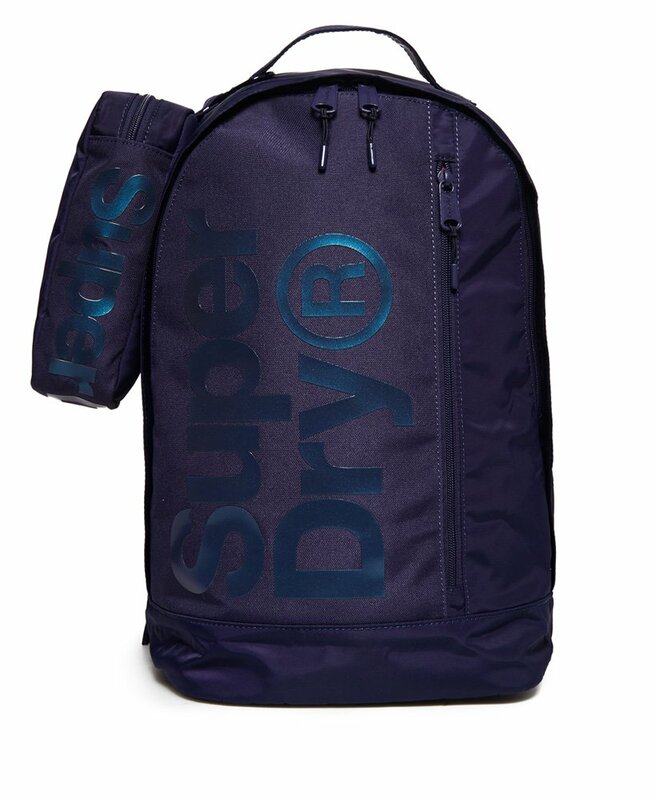 The Academy Freshman backpack is completed with a Superdry logo on the front and comes with a complimentary pencil case, also featuring Superdry logo detailing.